Eugene Awarded World Champs in 2021! I am quitting a job I have hated for six years. How should I do it? Evan Jager's medal chances just went up - way up!! 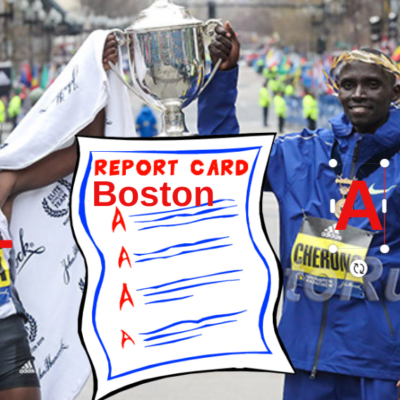 If Ritz runs well at Boston, does that PROVE AlSal can't coach the marathon? Will Shalane Make America Proud? LRC 2016 Olympic Trials 2015 Boston Marathon American Women’s Preview: Can Flanagan, Linden Or Cragg End The American Drought? It’s been 30 years since an American woman won Boston. Can Shalane Flanagan, Desiree Linden or Amy (Hastings) Cragg follow in Meb’s footsteps and take the laurel wreath? We break down this preview of the Olympic Trials. 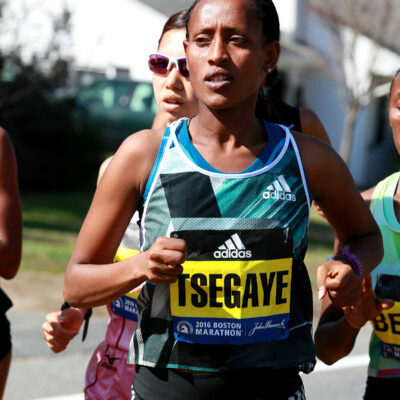 LRC 2015 Boston Marathon International Women’s Preview 2014 Chicago champ Mare Dibaba leads the field, though she’ll be challenged by fellow sub-2:20 woman Buzunesh Deba, who would have set a course record last year if not for drug cheat Rita Jeptoo. World junior record holder Shure Demise Ware and former champs Caroline Kilel and Sharon Cherop will also be on the start line. 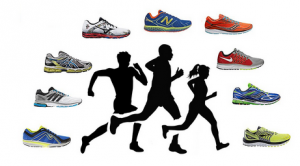 LRC 2015 Boston Marathon American Men’s Preview: Can Meb Keflezighi Shock The World Again? For the first time in 31 years, an American enters Boston as the defending champion. 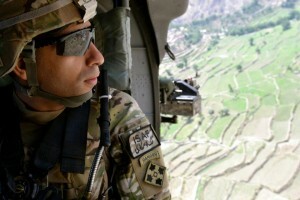 If Meb can’t repeat, can Ritz, Teg, Eggleston, Arciniaga, Cabada or anyone else from the US of A shock the world? LRC 2015 Boston Marathon International Men’s Preview: Which Of These Men Will Snap The American Win Streak At One? 2013 champ Lelisa Desisa and former world record holder Patrick Makau (2:03:38 PR) are the headliners, but there’s depth behind them with five sub-2:05 men overall and five more sub-2:07 + HM world record holder Zersenay Tadese (58:23). *MB: Soccer player faster than Usain Bolt at 40m?? Olympic Spots Will Be On The Line At World Relays The top 8 finishers in the men’s and women’s 4 x 100 and 4 x 400 will qualify for the 2016 Games. Kenyan Patrick Terer Will Return To Defend His Title At The Prague Marathon On May 3rd The 2:08:07 man will face Peter Kirui (2:06:31) and three other sub-2:08 men. 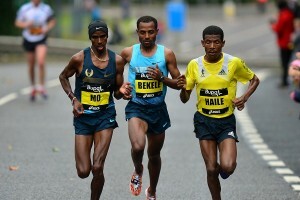 The women are led by Ethiopians Yebrqual Melese (2:23:23), Tadelech Bekele (2:22:51) and Ashete Bekere (2:23:46). Tyson Gay Will Compete In The 100 At The May 9th Jamaica Invitational Gay took the place of Justin Gatlin who recently withdrew. Other confirmed athletes are Walter Dix, Ryan Bailey, Nesta Carter and Nickel Ashmeade. 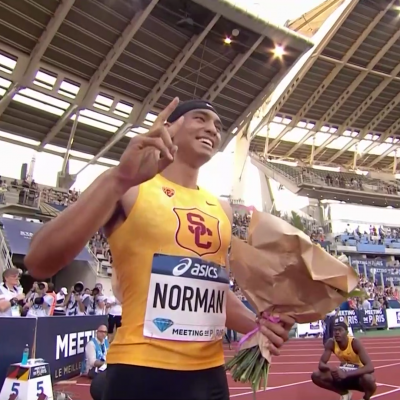 Mutaz Essa Barshim Will Face Stacked HJ Field At 2015 Pre Classic Includes Olympic champ Ivan Ukhov, Olympic medalists Derek Drouin and Erik Kynard and 2011 World champ Jesse Williams. France’s 2-Time European Heptathlon Champ Antoinette Nana Djimou And Russian Euro Indoor Champ lya Shkurenev Added To Fields For Hypo Meeting In Gotzis On May 30-31 Previously announced include Ashton Eaton for the men and a stacked women’s field of Jessica Ennis, Brianne Theisen-Eaton, Dafne Schippers, Katarina Johnson-Thompson and Morgan Lake. Jessica Ennis Will Return To The Olympic Stadium For Sainsbury Anniversary Games In July She hasn’t decided which event(s) she’ll compete in, but could end up facing fellow Brit Katarina Johnson-Thompson. Stacked Fields Set For BAA 5K: Molly Huddle Is Defending Champ And Ben True Goes For His Third Win True faces Sam Chelanga, Stephen Sambu and Lawi Lalang while Huddle is up against BAAA Distance Medley champ Mamitu Daska. *Past Boston Champs – Morio Shigematsu (JPN, 1965), Jaqueline Gareau (CAN, 1980), Geoff Smith (GBR, 1984/85), Greg Meyer (USA, 1983), Lorraine Moller (NZL, 1984), And Lisa Rainsberger (1985) – Will Also Run BAA 5k Joan Samuelson, Gelindo Bordin and Amby Burfoot will run the full 26.2. Morgan Uceny, Heather Kampf, Gabe Grunewald Lead Field For BAA Invitational Mile Uceny is a three-time champ. Chris O’Hare leads the men’s field. 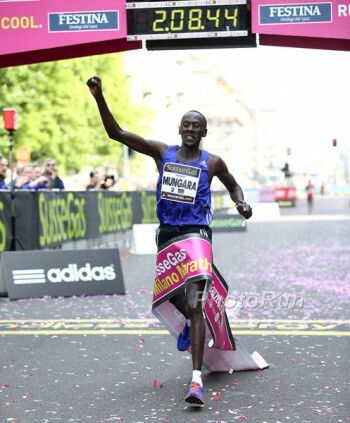 Q&A With Former Marathon WR Patrick Makau Ahead Of The Boston Marathon Makau says his favorite workout is 10 x 2,000m in 5:40 with 1 minute recovery (200m jog). BAA And Abbott Anounce Multiple-Year Sponsorship Of The Boston Marathon Sponsorship complements Abbott’s title sponsorship of the World Marathon Majors. Recommended Read: 84-Year-Old Holocaust Survivor Says Running Saved Her Life Sylvia Weiner was the only one in her family of 10 to survive the Holocaust and was in a concentration camp together with Anne Frank. Weiner went on to become the first official Boston Marathon masters winner. *MB: April 13, 2003 – Guess what happened 12 years ago today? Where were you/what was your reaction? IAAF “Personal Bests” Q&A With Emma Coburn Coburn shares her top achievement and disappointment, favorite venue and greatest indulgence. Shalaya Kipp Signs With Oiselle The 2012 Olympian is part of the group with Emma Coburn who train under Mark Wetmore in Boulder. 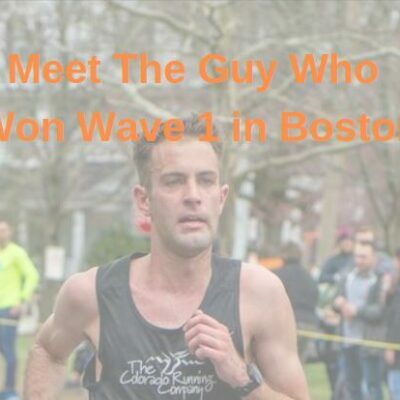 LRC Everything You Want to Know About the Boston Marathon Men’s Pro Field From Friday Guaranteed If you want to dominate your Boston office pool read this as we give you insight on just about everyone. Ritz is getting help from Greg Meyer and Hartmann, Tadese hopes to have figured out the marathon, Makau is ready, Tadese still looks great, not to mention Teg, Cabada and oh yeah a guy named Meb. Interviews and more. LRC Analysis: Eugene Worlds 2021: Details And Three Quick Takes – USATF Thriving Under “Old School” Way Of Doing Business In a special vote, the IAAF decided to bypass the normal bidding process to give the 2021 championships to TrackTown USA. We break it down. Not Everyone Is Happy: Gothenburg Says Eugene Bid For 2021 Worlds Was “Unfair” Gothenburg wanted 2021 to celebrate the 400th anniversary of their city. MB: Eugene Awarded World Champs in 2021! 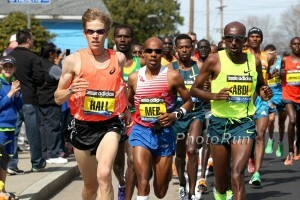 MB: If Ritz runs well at Boston, does that PROVE AlSal can’t coach the marathon? MB: Will Shalane Make America Proud? MB: Why is Boston a World Marathon Major? Frosh Morgan McDonald The Aussie was 2nd at Big 10s indoors in the 3k. Jessica Ennis-Hill Hoping Doping Authorities Will Give Her 2011 Worlds Gold Russian drug cheat Tatyana Chernova was retroactively suspended for two years – with the suspension ending just 16 days before Worlds. Kenneth Mungara took down Andres Espinosa's master's WR in the marathon, Ryan Hall lost another high school record to Webb, Kodiak, Alaska pop 6,423 has had 2 sub-8:50 2 milers, Jake Riley ran a tremendous race of an unspecified distance, and two reasons why you should never quit. Former Distance Legend Moses Tanui Says Isaiah Kiplagat Didn’t Name The Appropriate Person As Interim President Lt. Gen. Jackson Tuwei was named interim president, but isn’t technically second in command. Tanui also criticized the banning of agents without evidence as it will hurt the athletes. Commonwealth Games 1,500 Champ Faith Kipyegon Defends Her Banned Coach And Closed Training Camp Coach Charles Ng’eno was accused of sexual harassment and poor coaching, but Kipyegon says that’s not true. 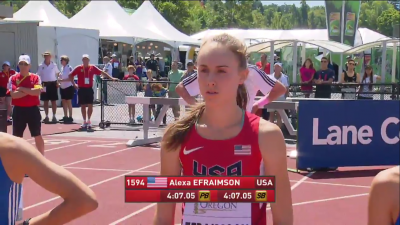 Video Interview With Alexa Efraimson, Who Says She’ll Be Going To University Of Portland Next Year She talks about life as a pro and how her parents give her an “allowance” out of the paycheck she gets from Nike. 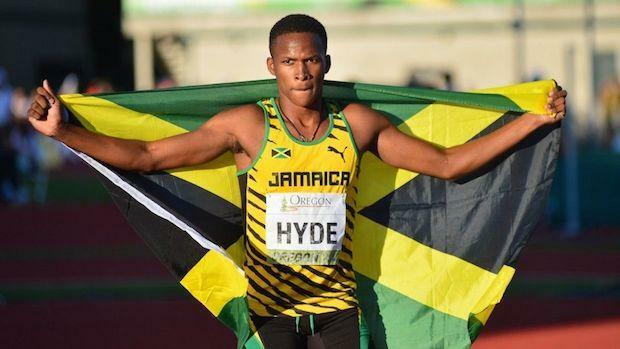 Jamaica’s World Junior Champions Michael O’Hara And Jaheel Hyde Banned From Penn Relays They both received sponsorship deals with telecommunications provider LIME and therefore broke the rules of amateurism. Dibaba Named Sportswoman Of The Year At Laureus World Sports Awards We’ve got no qualms with the decision even though she didn’t earn a #1 ranking in any event. Her WRecords were incredible. Recommended Read: Basketball Legend Larry Bird Talks About His Love For Running And How He’d Run Before Every Practice/Game Bird talks about the time he ran a 5-mile race (~32:30) before a big game and scored 60 points and says he once ran a 5:08 mile. Jordan Chipangama And Jane Kibii Won Sunday’s Credit Union SACTOWN Ten Mile Chipangama won in 48:29, beating Shadrack Biwott by 6 seconds. 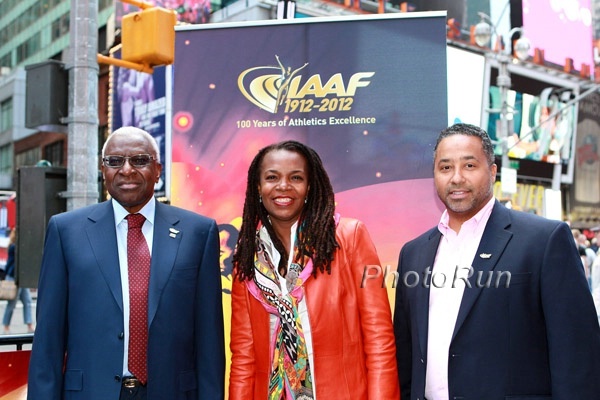 Athletics Kenya Bans Two Agencies, Rosa & Associati And Volare Sports, From Representing Athletes For 6 Months (link fixed) AK is investigating the two agencies run by Italian Gabriele Rosa and Dutchman Gerard van de Veen for possible connection with the rise in Kenyan doping cases. Rosa previously represented dopers Rita Jeptoo and Matthew Kisorio and currently has Asbel Kiprop and Eunice Sum. 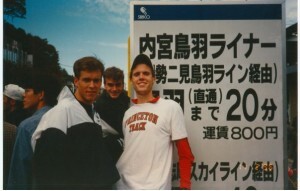 Van der Veen represents Dennis Kimetto, Wilson Kipsang and Geoffrey Mutai. Isaiah Kiplagat Says Van der Veen Has Current Doping Cases In His Group, But Couldn’t Reveal The Names While Investigations Are Ongoing There were rumors of this last week. Kenyan Training Camp Closed And Coach Banned For Life For Having Inappropriate Sexual Relations With Junior Athletes Coach Charles Ng’eno denies the allegations, however, claiming that a rival is trying to sabotage him. AK also announced they are investigating another coach for his connection with young athletes changing citizenship to Qatar and Bahrain.